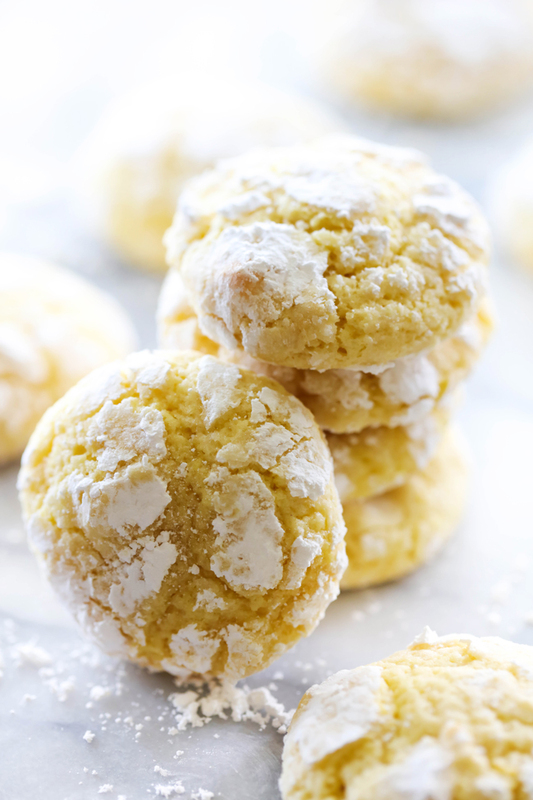 These Lemon Crinkle Cookies are perfect for a light, sweet and refreshing flavor. They are made from scratch and are so soft and delicious! This will become and instant new favorite! In a large mixing bowl cream butter and sugar together. Add lemon juice and lemon zest and beat again. Add yellow food coloring if desired and mix in. Refrigerate for ½ an hour. Roll dough into 1 inch balls and then roll into powdered sugar. Place on a cookie sheet lined with parchment paper and bake at 350 degrees F for 8 to 10 minutes. recipe adapted from: Frugal Mom eh!